Baltimore County Police blasted a department-wide email last week refreshing officers on the importance of election laws and their enforcement, a reminder that was apparently well-timed. J. Ronald DeJuliis, the state’s commissioner of labor and industry, along with two others, face a misdemeanor charge after they were discovered Saturday uprooting Sen. Jim Brochin’s campaign signs at an apartment complex in Parkville. 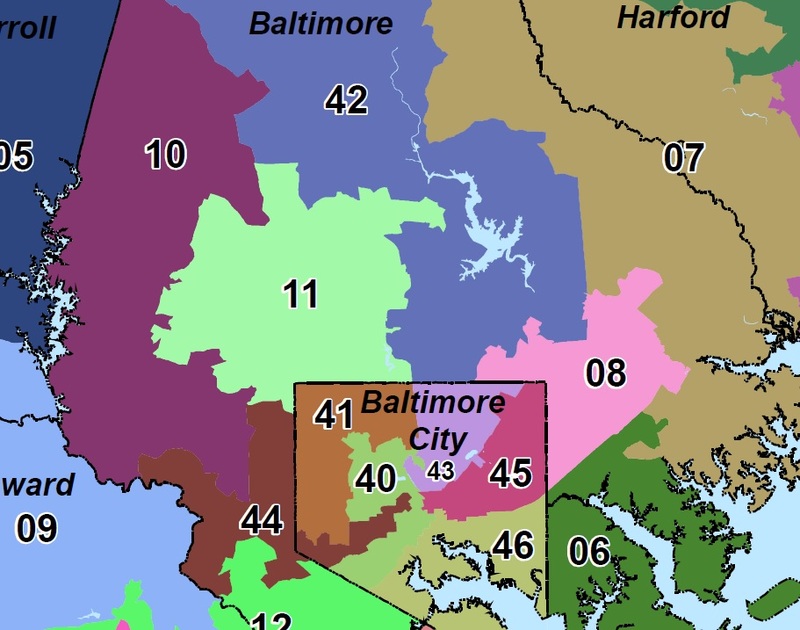 DeJuliis’ wife, Connie DeJuliis, a former member of the House of Delegates, is Brochin’s opponent in the June 24 primary, and Saturday’s incident only proved to inflame the already contentious rivalry for the heavily redrawn District 42, encompassing a swath of Baltimore County from Towson north to the Pennsylvania line. Signage theft and vandalism is relatively commonplace, at least in Baltimore County, police and other Baltimore county lawmakers acknowledge, though unless perpetrators are caught in the act, little usually comes of the cases. Del. Kathy Szeliga, a first-term Republican from Baltimore County, said during her campaign run some of her smaller signs were knocked down, and some poached — she assumed teen pranksters were to blame, and never investigated further. “You’ll drive around and say ‘Oh, I knew I had a sign there,” she said. In one case that year, however, Szeliga recalled that a vandal spraypainted in vivid black a sexual slander on one of her 2-by-8 foot signs, visible from the road. Individually, that sign would have cost roughly $25, a large expense if they keep disappearing, Szeliga said. Szeliga never discovered who made the colorful additions to her sign because it happened overnight, there was no hints at the scene she could pursue. “It’s not something a political opponent would do because what happens is it gives you notoriety,” she said. McDonough said sign theft occurs quite frequently during an election cycle. “You’re not only disrespecting private property, you’re disrespecting the people who pay for that sign and 90% of that money comes from other people,” he said. Ronald DeJuliis is being charged with theft under $1,000. DeJuliis, as commissioner, is not a member of Gov. O’Malley’s cabinet, but undertakes responsibilities on par with other high-ranking state officials — he oversees the state labor health and safety rules and ensures employee rights. Police levied the same charge against Charles “Boots” Buttiglieri, an official with union Communication Workers of America, and 29-year-old Casey Akeem Addison, a DeJuliis campaign worker. Members of Brochin’s campaign, Ryan Fredriksson and Marc Lazerow, caught the three men disassembling Brochin’s signs at Parkville’s Loch Bend Apartments. The duo photographed and filmed DeJuliis and the other men before confronting them. Mr. DeJuliis, in the five-minute video by Fredriksson, admits to removing signs from other locations, in addition to the Loch Bend apartment sign. Brochin has not yet filed any additional complaints. Armacost with Baltimore County Police said they will not investigate beyond Saturday’s incident until one is reported. Lazerow, who first filed against Mr. DeJuliis Saturday, said he is still exploring filing other charges. “Trying to win with undemocratic, strongarm tactics are not how Democrats are supposed to campaign in Maryland,” Lazerow said. Connie DeJuliis has been tight-lipped speaking with press, not taking interviews since The Baltimore Sun published a full account of Saturday’s incident. Her only statement since the Sun’s story alleges Brochin did not have permission from the owner to place his signs at the Loch Bend property. “My husband should not have removed the Brochin campaign sign when he found it, but left it to others to remove, and for that he is sorry. I also apologize, and promise that no one in my campaign will remove any Brochin signs in the future, even illegally placed signs,” Connie DeJuliis’ statement reads. She had initially brushed off the incident as “a misunderstanding” and “somewhat silly,” Brochin disagreed, and said the problem goes beyond just the Loch Bend sign. The back-and-forth between the two candidates is indicative of their already aggressive contest for the Distrct 42 senate seat. Brochin has never lost an election, serving his third term as the senator for District 42 for more, garnering a reputation in Annapolis as a maverick and independent. Connie DeJuliis has already earned the backing of Gov. Martin O’Malley, who appointed her husband as commissioner, and the support of Baltimore County Executive Kevin Kamenetz. Kamenetz spoke at a DeJuliis fundraiser at the Towson Greene Turtle Monday evening, which was closed to reporters. Service Employees International Union (SEIU) is a rapidly expanding and politically prominent labor union who endorsed more than 80 for state office. Most were incumbent Democrats, and most won. Its sometimes brutal mailers and the union’s presence have permeated recent Maryland election cycles. While the candidates who enjoy an SEIU endorsement consider it a boon for their campaigns, other contenders consider themselves targets, and have derided the SEIU’s tactics as purely nasty.